Most people think of “electric fields” and “magnetic fields” as two entirely different things. After all, a magnet and an electric wire have virtually nothing in common with each other or so it would seem. Even so, electric fields and magnetic fields are not only quite similar to each other, but they are actually related. This comparison article should reveal more about the connection bet electric fields and magnetic fields. 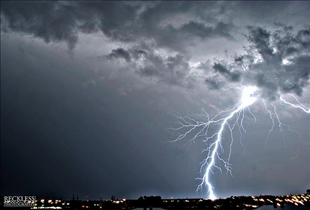 An electric field is the space around electrically charged particles. The term is also used to refer to the space around a time-varying magnetic field. This alone should give a hint as to the relationship between electric fields and magnetic fields. The concept of the electric field was first proposed by Michael Faraday. A magnetic field on the other hand is an area of force that results from the presence of a magnetic object or by a varying electrical field. This is detected by the force it exerts on other magnetic objects and electric charges. 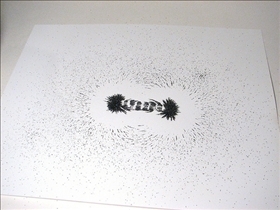 Magnetic fields are specified by direction and magnitude. For this reason, it falls under the category of a vector field. Electric fields that change with time tend to influence the magnetic field in the surrounding area. This is why electric and magnetic fields aren't considered separate phenomena. In fact, it is only the frame of reference that dictates whether a force is considered an electric field or a mixture of electric and magnetic fields. This is also the idea behind "electromagnetism" and "electromagnetic fields." Electric fields are typically created by electrical charges, and they sometimes result from changing magnetic fields. In the field of special relativity, electric and magnetic fields are two related aspects of a single force, which is called an electromagnetic field. All magnetic materials have a magnetic field surrounding them, and these fields are detected based on the force that they exert on magnetic materials and other electric charges. As mentioned previously, magnetic fields are considered vector fields, since they have specific directions and magnitudes. Electric fields are said to have a force that is proportional to the electric charge within the same space. This force typically flows in the same direction as the electric field. Conversely, the direction of a magnetic field is determined by the speed of the electrical charge, although its force is directly related to the electric charge as well. Electric and magnetic fields actually oscillate at right angles to each other, although they can–and often do–exist without one another. Permanent magnets are good examples of magnetic fields that exist without electric fields, and static electricity is an example of an electric field that exists without a magnetic field. Which field is better understood?